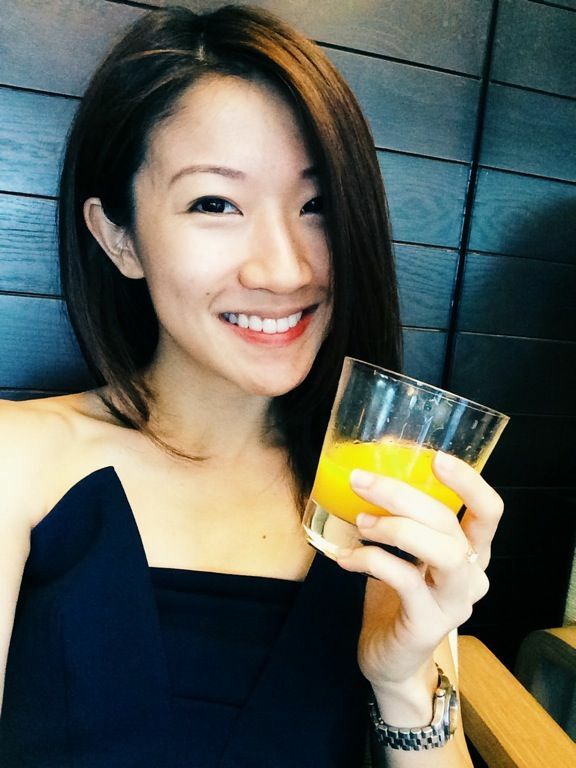 We're about 2 weeks away from Chinese New Year in Singapore!! 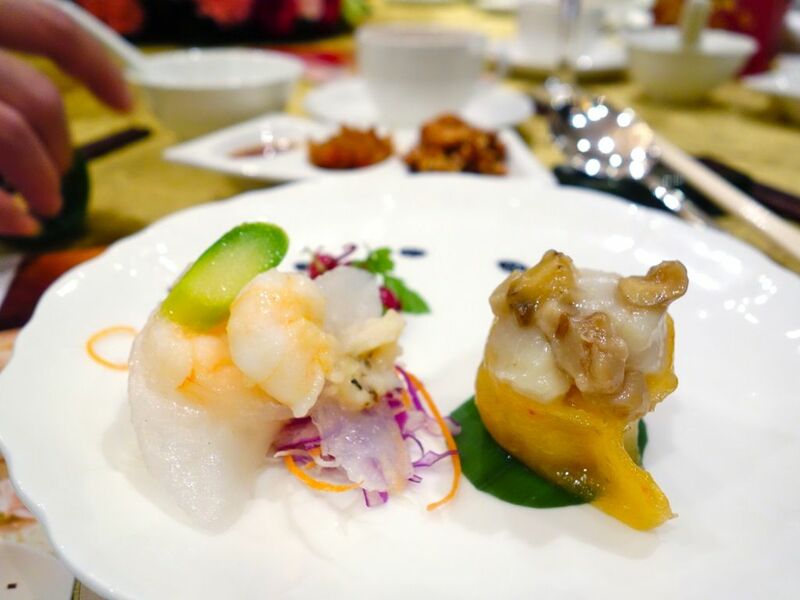 In case you guys are still scrambling around for a reunion dinner destination, here's another of my favorite- Li Bai Cantonese Restaurant at Sheraton Towers Singapore. From now till 3 March 2015, Executive Chef Chung and his team will be presenting 9 exclusive festive dine-in sets for young couples as well as large families. 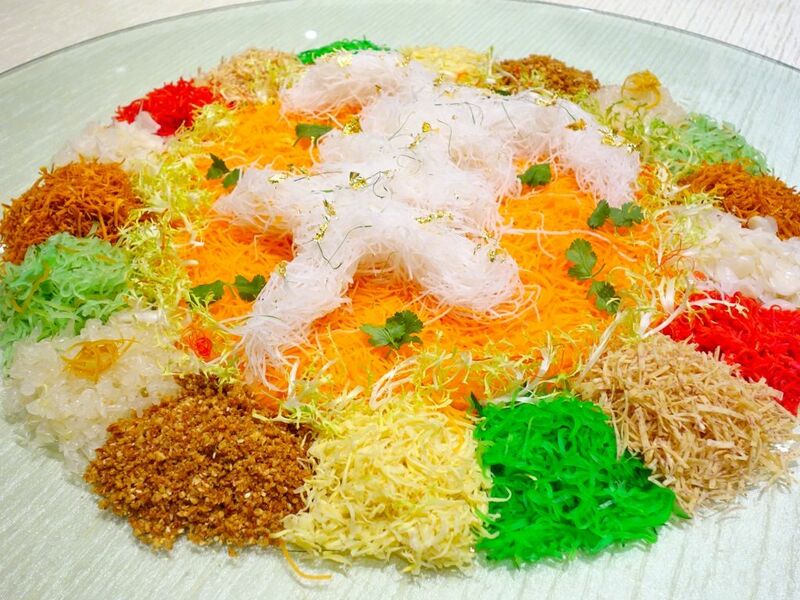 It's the year of the Goat but we are still not seeing meat in our Yu Sheng. Someone should really try to add meat into the equation. 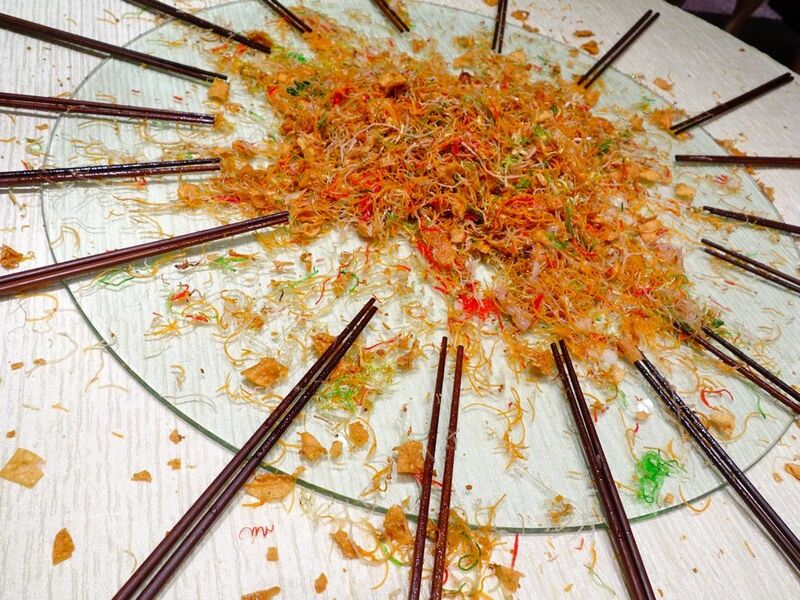 I'm not a fan of the yusheng at Li Bai. Something went wrong with the proportions that day and the asian salad was lacking in acidity and sweetness. It was also missing the much needed refreshing crunch from the greens as they were a little too finely sliced. Even my favorite crackers were too oily for my liking. Even the pricy but bland lobster sashimi did little to save the full dish. 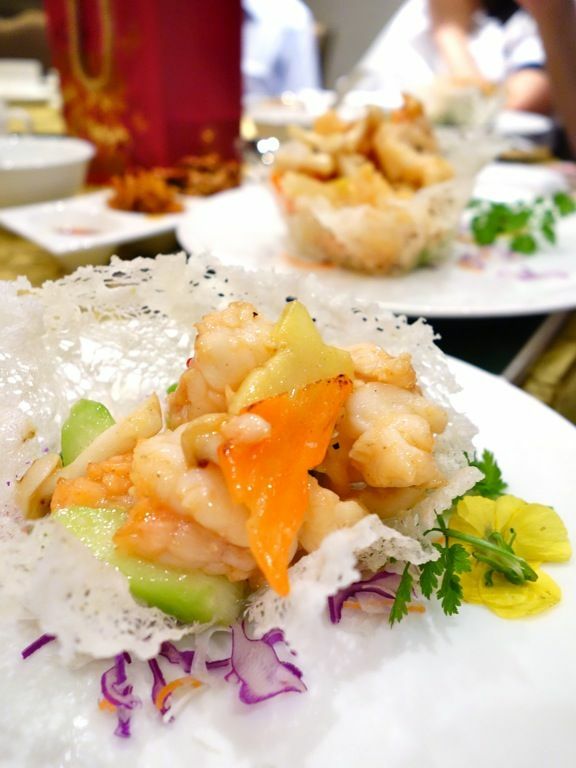 Yusheng aside, the succession of dishes that followed was faultless. 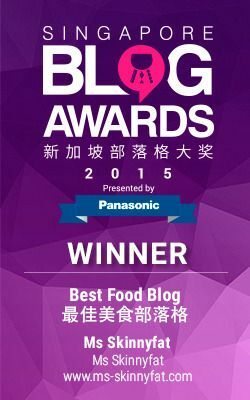 I could go on about the dimsum at Li Bai but you should just try it for yourself. Worthy of a mention is the inventive mushroom and foie gras flavor in the scallop dumpling, a depart from the typical fish or paste. Double boiled chicken soup with fish maw, morel mushroom, pearl meat (muscle of the pearl oyster), bamboo pith and tiensin cabbage. A pot that sealed all the flavors and goodness into the rich stock. 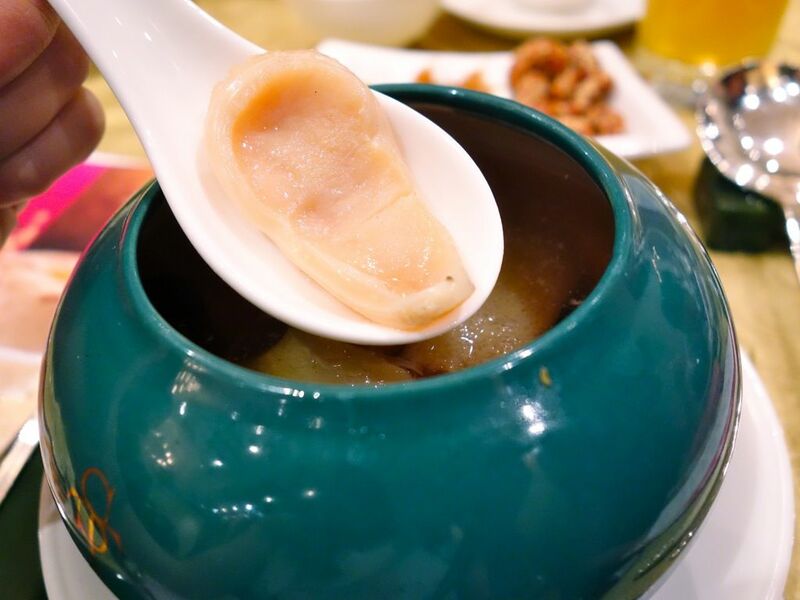 It's also a first time I had pearl meat and the texture is very similar to that of a dried scallop, just that it is more tender. Looks like a ear, doesn't it? Moving on, the Sauteed Lobster served in Crispy Rice Basket. 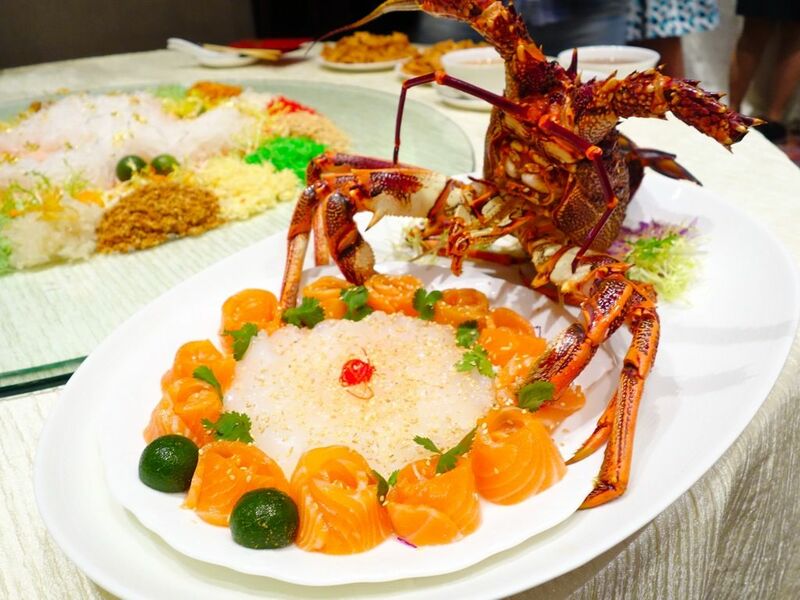 This dish did the prized crustacean way more justice than the yusheng. The simplicity of the Cantonese stir fry retained the sweetness of the meat and enhanced its profile with the light ginger sauce and crunchy asparagus. 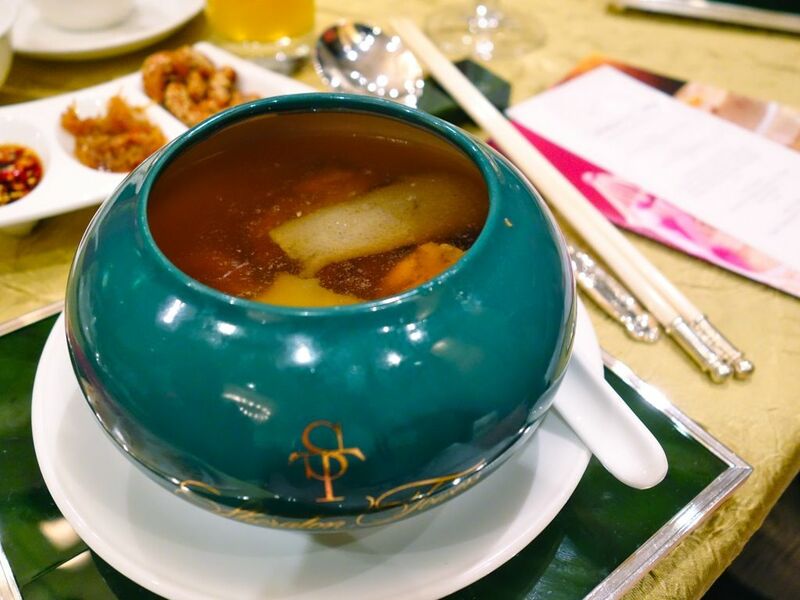 The Eight Treasures Duck with Abalone ($388 available for takeaway) is a dish that can rival many pen cai. 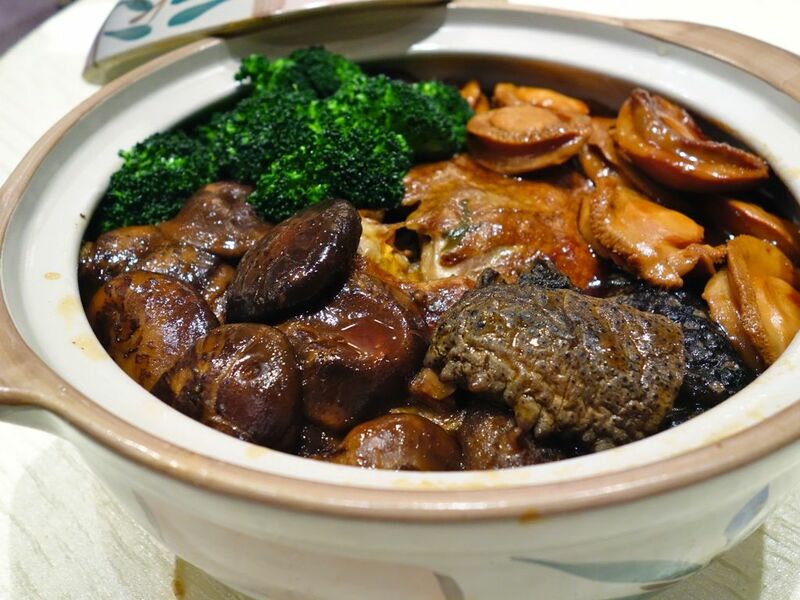 It was certainly a standout dish for us with the well braised fork tender meat. 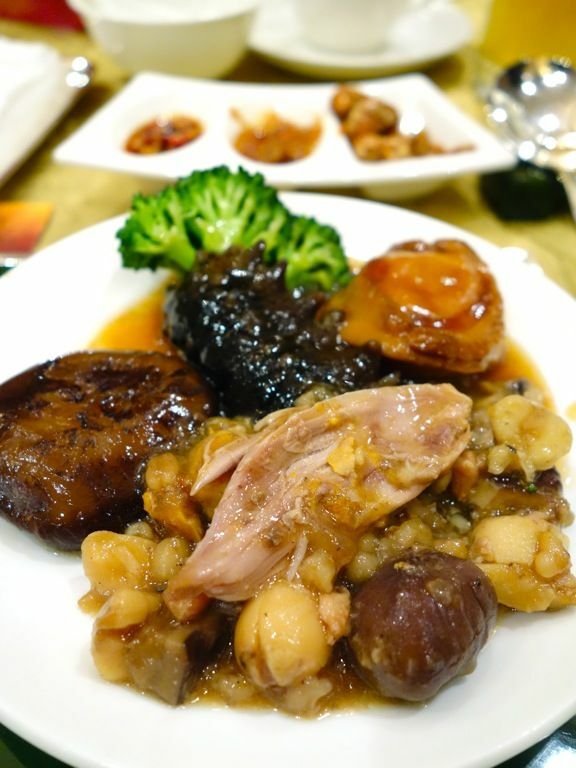 The umami of the braise was nicely supported by the light sweetness of the 8 treasures mix of lotus seed, chinese mushroom, sea cucumber, salted egg, barley, chicken, pork and chesnuts. Lastly, the Nian Gao and Water Chestnut Cake to round things off. Loved the refreshing and cool water chestnut cake. 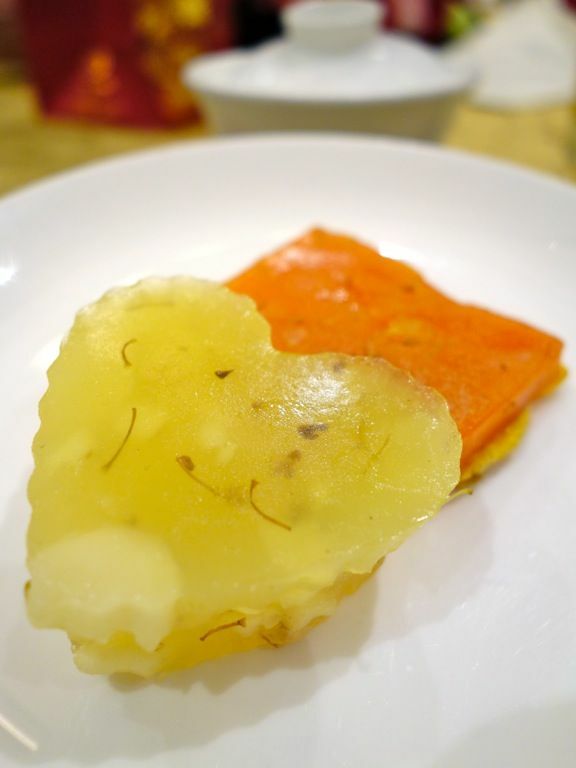 The nian gao wasn't as sweet as I expected and it also had a interesting waffle aftertaste. Please do me a favor and get yourself that carrot cake ($46). 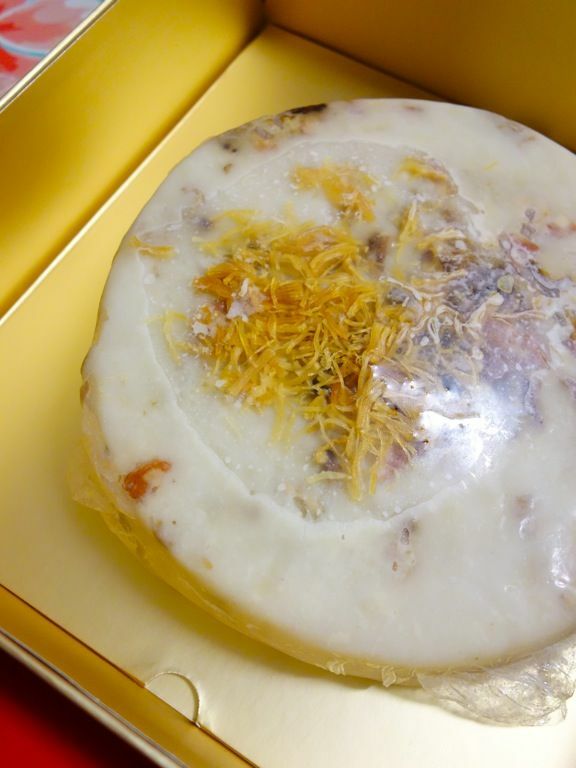 Chunks of white carrot with chunky preserved ham and sausage, dried shrimps, topped with dried scallops. As usual, another stellar meal at Li Bai Cantonese Restaurant. CNY set meals and takeaways are available till 3 March 2015.